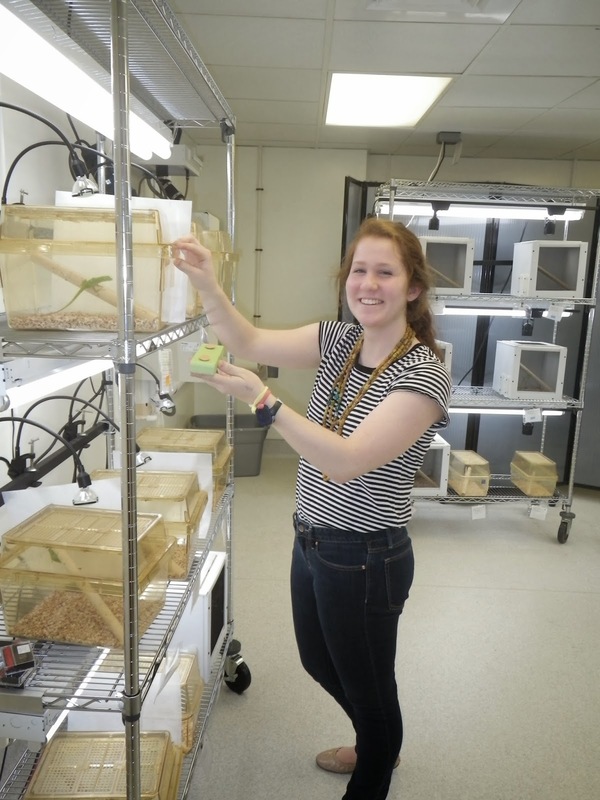 Gabrielle has finished her project in which she was evaluating the visual acuity of Anolis evermanni. This project was part of her senior thesis at the the North Carolina School of Science and Mathematics. To test the visual acuity of the lizards, she used the same behavioral paradigm that we developed to demonstrate associative learning and cognitive abilities in anoles. As is the case with most behavioral projects there were a few bumps in the road. Nevertheless, Gabrielle was always excited about what the lizards will do and it was great to have her as part of the team.